The Qurʾān, the holy book of Islam proclaimed by Muḥammad, has formed the foundation of Islamic religion and society and provided an important basis for Islamic culture and politics. 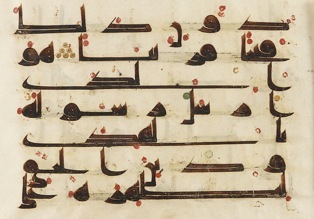 Texts and Studies on the Qurʾān seeks to publish a series of significant manuscripts, including monographs, textual editions, annotated translations, analytical and topical studies that address the full range of qurʾānic studies as presently articulated within contemporary research universities and institutes. Modes of inquiry and methodological perspectives may include, but are not limited to : philological studies (on grammar, linguistics, rhetoric and stylistics), historical-critical studies of early, classical and post-classical works of qurʾānic interpretation ; interpretive inquiries into topics grounded in qurʾānic hermeneutics (e.g., God, prophets, this world and the hereafter, ritual and institutions) ; thematic and structural analyses of specific portions of the qurʾānic text ; studies devoted to textual criticism and the history of the qur’ānic text ; anthropological investigations of the social uses of the Qurʾān in various contexts both historical and in the present day ; monographs of major Muslim commentaries on the Qurʾān ; explorations of textual semantics and significance informed by the insights of contemporary literary and critical theory ; inquiries into the impact of the Qur’ān on contemporary Islamic societies ; explorations of the origins of the Qur’ān and its intercultural linkage with other Scriptures. Michel Lagarde, docteur (1984), ancien professeur d’arabe et de tafsīr au PISAI (Rome), a publié plusieurs ouvrages sur al-Rāzī et Abdelkader l’Algérien (Brill, 1996, 2000-2002 ; Albouraq 2008). Prix Sharjah, UNESCO 2005 et Prix du Livre, Téhéran 2010.